Asus ZenFone Max Pro M1 full Specification and price in Usa. 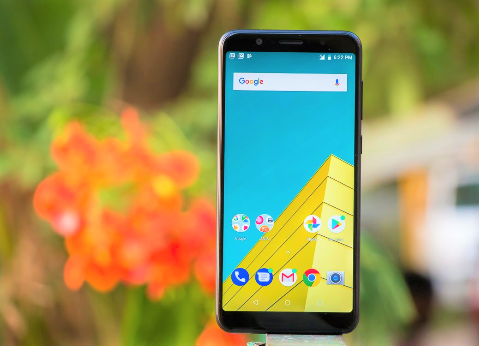 Asus's budget smartphone ZenFone Max Pro M1 appeared in blue color in India. This phone is already available in gray and black in the market. Asus ZenFone Max Pro M1 can be found in India in three colors. One of the main attractions of this phone is the Snapdragon 636 CPU, 6GB RAM and 5000 mAh battery. ZenFone Max Pro M1 of 3GB RAM / 32GB storage variants in India is priced at Rs. 10,999. And the price of 4GB RAM / 64GB storage variant is Rs. 12,999. ZenFone Max Pro M1's 6GB Ram Variant has started selling in the last couple of days. The price of this variant is Rs. 14,999 It is possible to buy this phone only from Flipkart. Asus Zenfone Max Pro 1 has a 5.99 inch FHD + display. The aspect ratio of this display is 18: 9. Snapdragon 636 chipsets are also available on this phone. The same chipset has been used on Redmi Note 5 Pro. 3GB / 4GB / 6GB RAM Variants ZenFone Max Pro M1 can be found. There will also be stock Android 8.1 Oreo Asus Zenfone Max Pro 1 will have a huge 5000mAh battery. There are microSD card slots in all variants of Asus Zenfone Max Pro 1. There are also dual SIM, 4G VoLTE, Wi-Fi, Bluetooth 5 and GPS. AsusZenFone Max Pro M1's 3GB / 4GB RAM Variants have 13MP + 5MP Dual Cameras and 8MP selphy cameras. But 6GB RAM <Variants have 16MP and 5MP dual rear cameras and 16MP front cameras. Asus Zenfone Max Pro 1 has Face Unlock and Fingerprint Scanner. • We hope Asus ZenFone Max Pro M1 full Specification and price 2018 post help to you, please share this post. Our site publish All Mobile specification and unboxing Review and many mobile accesoreis and also publish all up coming mobile news .so you can visit and get your news . You face any problem, through Comments below or Contact us, we will help you as soon as possible.